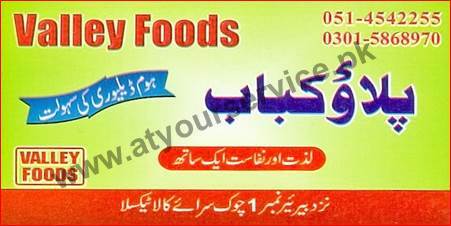 Valley Foods Pulao Kabab is located at Chowk Sarai Kala, Taxila. It serves Pulao Kebab. Home Delivery service is available.